I just can’t say it enough… I really like the Build A Blossom stamp set. It is so versatile, so many different types of flowers to make and so little time! You know, I really wish we as humans, needed less sleep. 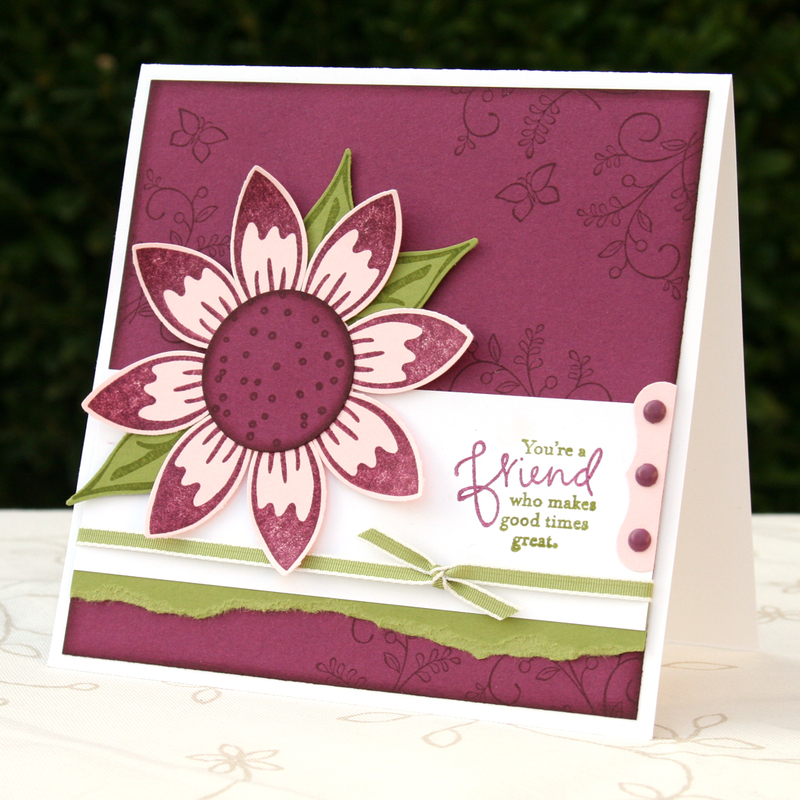 The project I have for you today is yet another card I made featuring the Build a Blossoms stamp set and the coordinating punch. I just love all your blog! Your cards are just beautiful; I would have a hard time deciding which is my favorite. I was ambivalent about buying the Build a Blossom set, but now it is on my wish list again. Thanks for sharing.